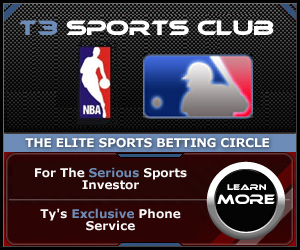 Bringing a direct to you approach in horse racing investing, the T3 Turf Club offers bettors the perfect opportunity to work with the best handicapper by phone. 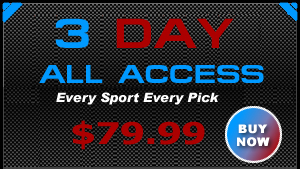 Ty will provide you with his exclusive picks to wager heavily on for huge profits. The T3 Turf Club is an annual membership into the elite horse racing circle with Ty himself. You will have his personal phone number to receive your picks and manage your always increasing bankroll. The way it works is simple, Ty gets 30% of your weekly profit. Win together at an incredible rate with his selctions from all the major tracks. Get connected into the horse racing advisor network the real players are using to build their bankrolls. Enroll now and begin your success. Get all the best Horse Racing Picks For Today. Get 7 days of our Horse Racing Picks. The T3 Turf Club. Unlimited Winnings With Only A Cost Of 30 Percent Of Each Winner.